Agent Insights - DMCA Safe Harbor: Do You Have Your Risk Management in Place? Agent Insights - In this edition of Agent Insights, Katerina Gasset, a real estate agent based out of Welling, FL. Her expertise in real estate is luixury properties, land parcels, and new construction projects. She is also very knowledgable about other details involving real estate such as task delegation and copyright law! For more articles by her, be sure to check out her Active Rain profile! You can get the instructions on how to do this from your MLS or Board of Realtors. You can do this yourself or you can have Katerina's team do it for you. 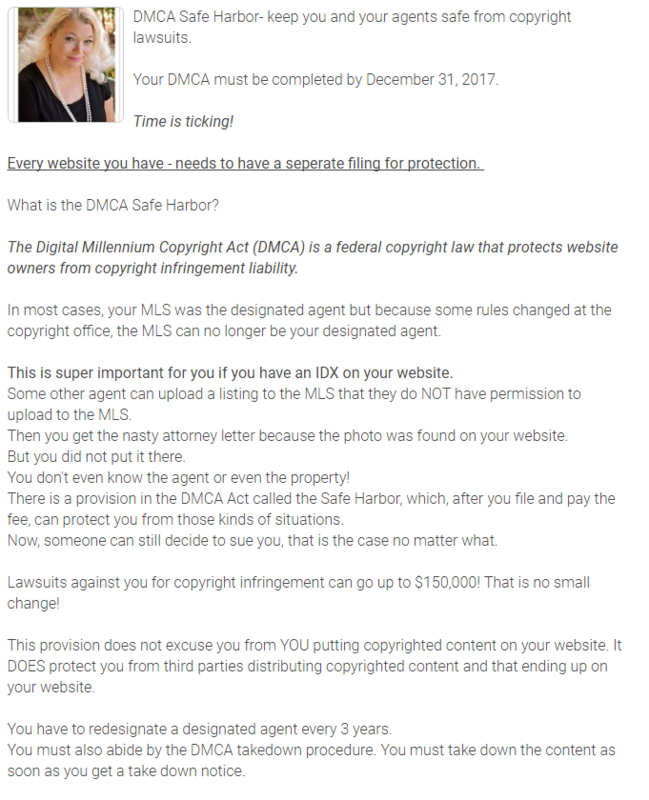 Contact my at 561-502-1577 to get your DMCA Safe Harbor done now. For more articles by Wanda, be sure to check out her Active Rain profile or visit her website! Want more advice from fellow real estate agents? Click the button below!